Chanel have always been major in the manicure game due to iconic shades such as Rouge Noir and limited edition colours like Jade flying off the shelves in minutes. 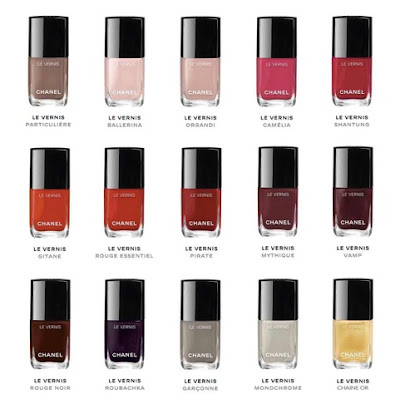 As one of the first luxury beauty brands to offer exclusive, limited edition colours that wouldn’t normally be associated with the French beauty aesthetic, they pushed boundaries, and pretty much dictated the nail trends each season. I can honestly say that I was there. I watched the catwalks, and then waited, impatiently, for the new collection to be revealed so that I could wear colours like Coco Blue (pale blue) and Mimosa (yellow) years before they we copied by every brand on the high street. 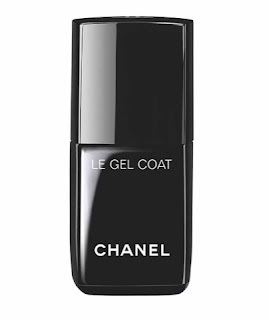 The latest product from Chanel have taken their famous nail polishes to the next level by introducing Le Gel Coat top coat which keeps nails chip free for up to 6 weeks. It contains an oligomer which is activated by natural light (sunlight) for an ultra glossy finish which is shock resistant and reduces chipping. Great news for you home manicurists out there – no need to invest in a UV light, this top coat dries instantly. Chanel have also reinvented 11 of their classic Le Vernis Nail Polishes with a new look and new packaging. The colours are intense – they have been created using using selected pigments, which are finely ground and captured for an even application. The nail polish is also rich in bioceramic, and ceramides which cares for the nails to reinforce hardness and improve the quality. I have applied two layers of Le Vernis today and it’s intense. It’s slightly thicker than the usual Chanel nail polishes so you only need one coat. I applied two out of habit, but it hasn’t made much difference. On the first application, make sure you remove excess product off the brush or else you will end up with a pool of polish as it dries super fast and it’s difficult to rectify any mistakes. I applied the Le Gel top coat after, which is so easy to apply – it dries almost instantly, comes on super smooth and makes nail polish look amazing and shiny. I applied it to one had only so I can test its chipping resistant out. It’s been 3 days, and so far so good. Available now from Chanel, and Department Stores Nationwide.